So, what do you need to know when planning your trip to Bavaria for the world’s most famous Beerfest? Here are the lessons I learned (some the hard way) from Oktoberfest 2011. Book your hotel early. Otherwise, you end up in a town called Hallbergmoos. 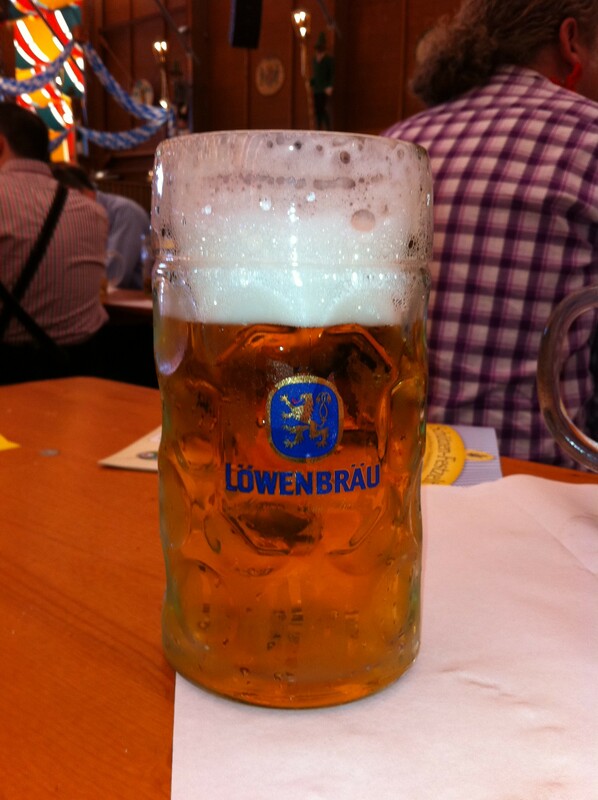 It is never too soon to start planning your trip to Oktoberfest, as hotels in München book up very quickly. That said, if all else fails Hallbergmoos is dandy town. Have a way to contact people or have a meeting place. At some point someone will get separated from the group, so plan for it. I recommend springing for the international phone plan, but at the very least have a designated meeting place if you get separated. Don’t take anything with you – seriously nothing. Oktoberfest is like a black hole for people’s personal belongings. Take yourself, and if you have pre-paid for drinks all you need is about 40€ to cover tips and the restroom entrance fee. Don’t go on the rides. You would think this would be common sense, but after a few liters it may seem like a good idea….but it is not. The cookies should not be eaten. When you get to Oktoberfest you will see people running around with heart-shaped iced gingerbread cookies around their neck. Now this may sound counterintuitive, but do not eat the cookies I repeat do not eat the cookies. The cookies are meant to last years, and as such possess a sort of cardboard texture and taste. Come prepared to sing. Notable Oktoberfest hits include: Happy Birthday (even though it is nobody’s birthday), Summer of 69 (over and over again) and Alice, Who the F%*k is Alice. Have a Radler or two. A Radler is part beer and part lemon soda, so it is a good way to pace yourself. Wear the traditional Bavarian clothing. How often do you get to wear lederhosen or a dirndl? Pretty much never, so do it. The only people who look like fools are the ones who are not dressed up. Be sure to plan. You cannot just show up to Oktoberfest. If you plan to go inside the tents (and trust me you want to) then it does require some planning. Some tents are considered more desirable than others, and getting tickets for them is like a sport. Tickets become available as early as December, and you want to get in as early as possible. I’ve made that mistake with the gingerbread cookies… they are also quiet popular in the Czech Republic and Poland. Totally fine if you eat them fresh, not so fine if you eat them after they have been around for a while. Yeah I don’t know what they put in them to make them last long term, but I am pretty sure whatever it is should not be eaten! I am telling you we need to plan Oktoberfest 2012! Another suggestion – Don’t plan on going to the noon and evening tent in the same day! Also make sure you eat! The chicken is excellent.